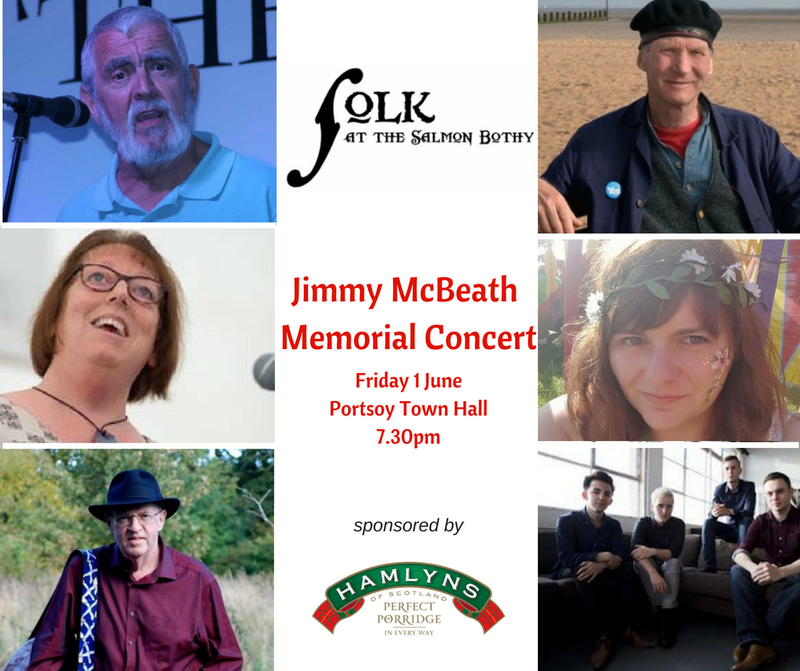 We’re delighted to confirm our sponsorship of the Jimmy McBeath Memorial Concert, one of the highlights of the 9th Folk at the Salmon Bothy HAAL festival, a weekend of traditional songs, tunes, stories, poetry, dance, workshops and sessions, in and around Portsoy. Bob Knight, a folk/traditional singer/songwriter, based in Aberdeen, who writes new songs using Scots and Doric. Jimmy ‘Scout’ McBeath was born in Portsoy on the 30th August, 1898. He became recognised nationally as an important tradition bearer of Scottish music, along with such well known figures as Jeannie Robertson, Belle Stewart, John Strachan, Willie Scott and Davie Stewart. Many of his songs such as Come aa Ye Tramps and Hawkers, The Wind Blew the Bonnie Lassie’s Paidy Awa, The Bonny Lass o Fyvie and many many more, have been adopted by internationally known folk singers, and are still valued and sung around the world. Visit the Folk at the Salmon Bothy Festival website for details of the three day programme. Tickets are £15, with under 16’s going free. See full programme for where to buy tickets.